Tonight on TNT Major Crimes airs with their all new Monday, August 29, season 5 Episode 10 called “Dead Zone,” and we’ve got your Major Crimes recap down below! On tonight’s episode, a murder investigation has a personal impact on Sanchez (Raymond Cruz) and also leads to a much larger criminal operation. On the last episode, a jogger took a fall down the steps of the Greek Theatre in Los Angeles, leading the team to zero in on a divorce attorney with plenty of irate clients. Did you watch the last episode? If you missed it we have a full and detailed Major Crimes recap, right here for you. 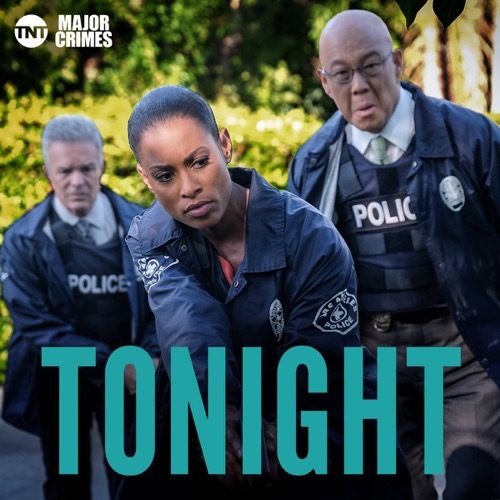 Tonight’s episode is going to be filled with action and you won’t want to miss it, so be sure to tune in for our live Major Crimes recap of the show tonight at 10 PM EST! While you wait for our recap hit the comments and let us know how excited you are for the season 5 episode 10. Captain Raydor and her team were initially looking into Ava Jarvis’s death as a favor to Sanchez’s foster child on tonight’s episode of “Major Crimes” when they found out that there was more than meets the eye with their victim. Sanchez’s foster child Mark Jarvis had been a pain in the backside since Sanchez and his family took him in. However, it seems that Mark’s often racist comments and actions were actually part of his upbringing. Mark’s mother Ava had gotten mixed up with a group called the Brotherhood and the Brotherhood was all about Aryan pride. They believed that they were the superior race and unfortunately this group would physically harm people and target people they feel were undeserving or traitors. So Ava had apparently figured out in the end that she hadn’t wanted her son around those people and she had tried to turn state’s evidence against the Brotherhood. Ava was supposed to testify that she had seen someone in the group killed two teenagers merely because they were wrong race. But she had been killed just before she gave her testimony and so its looks like the man she was testifying against had a better chance at getting off. So Ava had ultimately tried to do the right thing and unfortunately she was killed because of it. And so the team didn’t know how to break the news to Mark. Nor did they really want to, but they knew that they had to find a way to get Mark to talk and he was only going to do that if he trusted them. Mark had genuinely believed everything he had heard growing up so the little boy was all about white pride himself and naturally didn’t want to trust the cops. Who he had been raised to believe were race traitors. So to get Mark to talk to them, the police told a little lie. They told him that his mother was looking for him and that she wanted to see him so that convinced him that it was ok to take them to the house because he thought his mother was going to be waiting for him there. Yet, the only thing that was waiting for the police at the house was a bunch of armed skinheads. Including the uncle that Mark had been talking about though he was actually his mother’s former boyfriend and was literally working with explosives when the police arrived. And so the following shoot-out, when the police raided the place, had nearly killed them all. Though despite taking one member into custody, the DA later found just enough evidence to put away Dwight Darnell even without Ava’s testimony. The Brotherhood as it turns out were guilty of real estate fraud. They would use girlfriends like Ava to buy up homes and then they would rent those homes out to mixed race couples and families. Who they would then rob and murder. So Ava’s death resulted with the police finding everything they needed to keep the ringleader in prison for murder however they still wanted to find out who killed Ava. Dwight admitted that it wasn’t him and he reminded him that he had been in prison when Ava died. However, he also mentioned that they were never going to get answers out of Ava’s boyfriend Henry and that Henry father and brother were still free. So Dwight had given the police a reason to believe that their earlier investigation into the Brotherhood had been right. The Brotherhood were planning something on a grander scale and Henry’s family was still at large. And so Major crimes were tried to find Henry’s family before anyone else got hurt, but Raydor did allow Buzz to take some time for the investigation he had on the side. Buzz and Rusty had come across a possible witness in his father’ and uncle’s deaths so Buzz needed to question the witness to see if he really was a witness or if he was an accomplice. But Gene Hecht was trying to play it tough in the investigation room. So Buzz had threatened to transfer him to a different prison where he wouldn’t be able to see his friends or maintain his routine so that had scared Gene. And Gene had promptly told Buzz everything there was to know about his girlfriend who he had been with on the night of the murders. So Buzz hadn’t found the killer he was looking for although he did find a witness and had even helped Raydor figure something out. Raydor had been trying to get Henry to talk to her. Yet, he didn’t wish to speak to the police about where his family was and the only thing he was prepared to tell them was that he wanted his one phone call. And so Raydor allowed him to have that phone call because Buzz made her think that Henry might trying calling his dad. And it turns out her suspicions were right about Henry. Henry used what he thought was a secure line to call his dad and the conversation lasted just long enough for Major Crimes to track his father’s location. So Raydor had authorized a raid and they were going to try at least to take the other Brotherhood members in peacefully when Henry’s father and brother decided to make one last stand. The other men had apparently loaded themselves down with explosives and they actually looked forward to shooting their way out of the building because they thought that they would be martyrs if they were to die like that. However, it wasn’t until they were dead that Major Crimes realized that someone else had taken away the million dollars’ worth of guns that had been hidden in the building and that the Brotherhood still had something in play. The team later brought a psychiatrist in to talk to Mark about his mother however his mother’s case was still open and there were also several Brotherhood members at large.